“My heels hurt”. Our sales staff hear this on a daily basis from our customers. 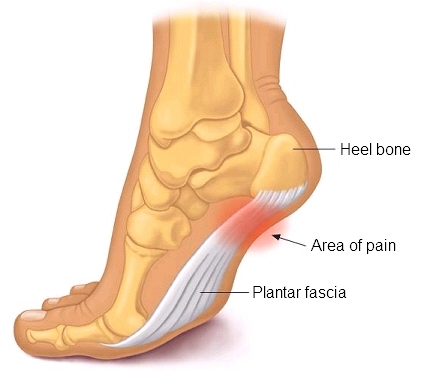 A common cause of this pain is plantar fasciitis which feels like a sharp pain in your heel(s). Fortunately, we have several products that can help with this condition. Plantar fasciitis is an inflammation of the plantar fascia, a thick band of tissue that runs along the bottom of your foot from the heel to the toes that supports your arch. Straining the plantar fascia causes it to become weak, swollen and inflamed. Walking on feet with irritated plantar fascia is painful. Wearing shoes that support your arch reduces the strain on the plantar fascia and relieves the pain. Brooks and SAS are two brands of shoes we offer that provide a great deal of support and a secure fit. You may also try orthotics that offer arch support and can be inserted into the footbed of your shoes. We have several different styles of orthotic arch supports from Spenco and Birkenstock. Many of the shoe brands carried at Saager’s Shoe Shop have removable footbeds that can be replaced with orthotics.